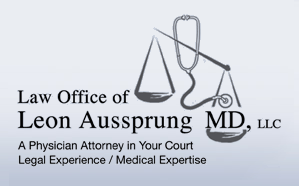 Leon Aussprung M.D., J.D., LL.M. Irwin L. Lifrak M.D., J.D. Stephanie McMullen-Payton, MBA is a litigation paralegal with more than ten (10) years of experience in the field of personal injury litigation. She has assisted in the investigation and management of complex personal injury cases, including medical malpractice and wrongful death cases. 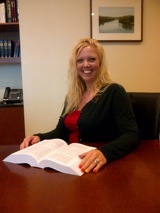 She has been working as a paralegal with the Law Office of Leon Aussprung, MD since 2008. Ms. McMullen-Payton received her Bachelor of Arts degree in 2003 from Albright College with a major in pre-law. In 2006, Ms. McMullen-Payton received her Master’s Degree in Business Administration (MBA) with a concentration in Business Law from Alvernia University. In her spare time, she volunteers with Berks Women in Crisis and the Make a Wish Foundation. We serve the following localities: Delaware County including Aston, Boothwyn, Chester, Darby, Drexel Hill, Havertown, Media, and Upper Darby; Montgomery County including Ambler, Collegeville, Glenside, King of Prussia, Norristown, North Wales, and Pottstown; and Philadelphia County including Philadelphia.